Elders of Ziyon, have used their artistic talent to illustrate how ludicrous this analogy is. Today’s news contains an obituary which drives this point quite clearly. Yesterday, Tawfik Toubi passed away. An Arab born in Palestine in 1922, he was elected to Israel’s first parliament in 1949 and founded Israel’s communist party Maki. He was reelected 11 more times and served continuously from 1949 to 1990. 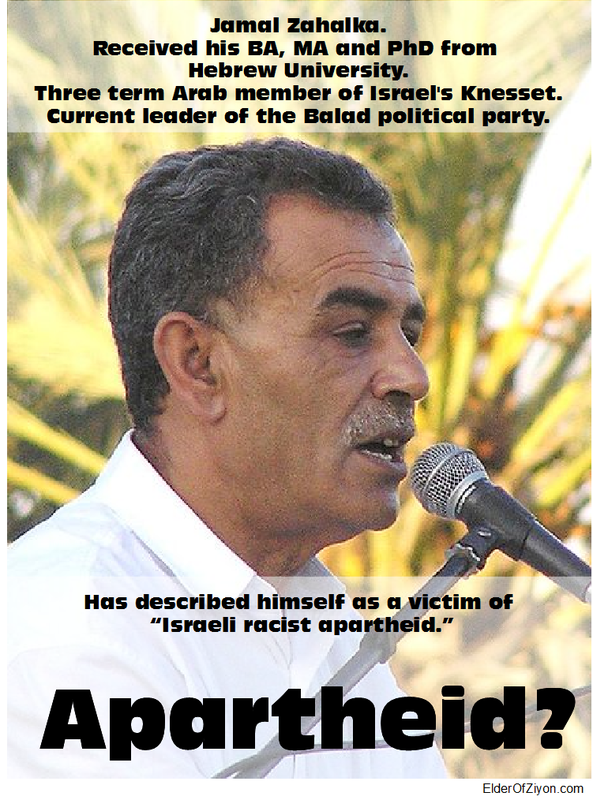 Tawfik Toubi was living proof that Arabs in Israel can aspire to the same positions of power as Jews can. The Philadelphia Jewish Voice supports Brandeis Hillel for denouncing the Jewish Voice of Peace. In related news, Brandeis University’s Hillel voted to reject the membership of Jewish Voice of Peace. This group is unrelated to the Philadelphia Jewish Voice and has been listed by the ADL as one of the top ten anti-Israel groups.